Online registration will close on Friday, February 24 - You may show up at the conference Saturday (cash or check ONLY), but we cannot guarantee a lunch for same-day registrants. You're invited to our 5th Annual Conference! Whether you're a professional farmer, a backyard gardener, or just curious about locally grown food, this is the event for you! This year we're expanding the day's offerings to include workshops for the public and for youth ages 9-12, as well as workshops on organic methods. Registration includes a locally-sourced lunch (yes, in February!) and at the Resource Fair you'll learn about local organizations and businesses that provide services and products to help you grow, whether you've got a hundred acres or a couple of window boxes. Registration is $35 for farmers, $50 for the public, and $20 for youth and students. 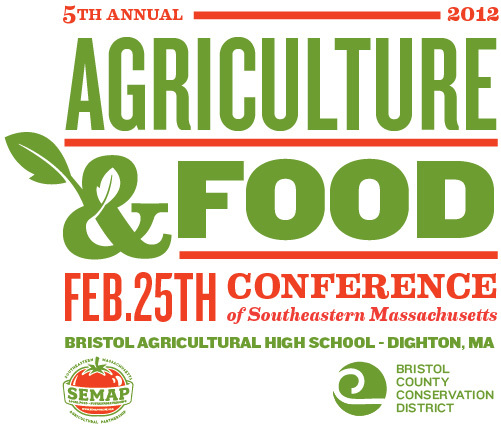 Businesses or organizations interested in exhibiting can contact us at farmconference@semaponline.org. Read on below for information about all our information-packed workshops - 18 to date! And be sure to check back for updates as February 25th draws near. CONFERENCE SCHEDULE - PLEASE CHECK BACK FOR UPDATES! WORKSHOPS - 18 TO CHOOSE FROM! We've got 18 information-packed workshops in the pipeline for February 25th. There are four main tracks: Farmer, Public, Organic, and Youth - but you're welcome to attend any of the workshops except for Youth workshops, which are targeted for children ages 9-12. Children younger than 9 are welcome to attend the conference, but must accompany a parent or guardian to the adult workshops. When you register online we'll ask which workshops you're most interested in so we can get a general idea of head count and demand. We'll use that information to slot workshops into rooms as the day draws near. On the day of the conference you'll be able to decide which workshops you will attend. Squeezing More Into and Out of Your Farm or Garden (Will Bonsall, Scatterseed Project) - By using a combination of companion cropping and live mulch, you can make your growing area far more productive for you and the soil. We are fortunate to have Will teaching two additional workshops, and were able to get him down here with a Speaker Grant from NESARE. Thank you! Leasing Land for Farmers (Jennifer DuBois, The Trustees of Reservations and Pete Westover, Conservation Works, LLC) - Land Leases provide one option for accessing land, whether you are an entering farmer looking for land or an established farmer looking to expand. Participants will learn about evaluating parcels of land, the nuts and bolts of a good lease agreement, and methods of searching for land. Bioefficiency: What Prairies and Forests Can Teach Us (Will Bonsall, Scatterseed Project) - Understanding where fertility comes from can make your garden/farm a lot more sustainable, even if you already keep livestock and use animal manure. Farm Marketing Basics: Delight, Inform and Attract Customers (Kelly Pelissier, Sage Hill Design and Katie Cavanagh, SEMAP) - Understand the importance and benefits of creating a marketing plan for your farm business through this lively overview. Join us as we demystify terms and tools for getting your farm noticed. We'll discuss and clarify: branding and logos; campaigns; tools (like social media, websites, emails, blogs); signage, packaging and presentation; and printed materials (newsletters, recipes, flyers, business cards, etc.). Whether you already have a logo for your farm and you’re wondering how to implement it; looking for new ways to attract potential customers; or if you're starting from scratch - this overview is for you. Everyone will leave with a better idea of what their next marketing steps are and a foothold in the overall planning process. Estimating the Productivity of Your Forestland (Rupert Grantham, owner of Walden Forest Conservation, forestry consultant) - This session will look at basic management goals for farm woodlots. What kind of value can we expect from harvesting firewood and sawtimber? How can we add value to these products through additional processing and creative marketing. What non-timber forest products are being used to increase the productivity of our forests. Dirt to Dining Hall - Meeting/Increasing the Demand for Local Food on College Campuses (Panel Discussion - Sarah Cogswell, SEMAP; JD Kemp, FoodEx; Chef Kevin Blaney, UMass Dartmouth; Mike Smith, Oakdale Farm; Simca Horwitz, MA Farm to School Project) - There is a consistent wholesale buyer in our backyard - UMass Dartmouth. 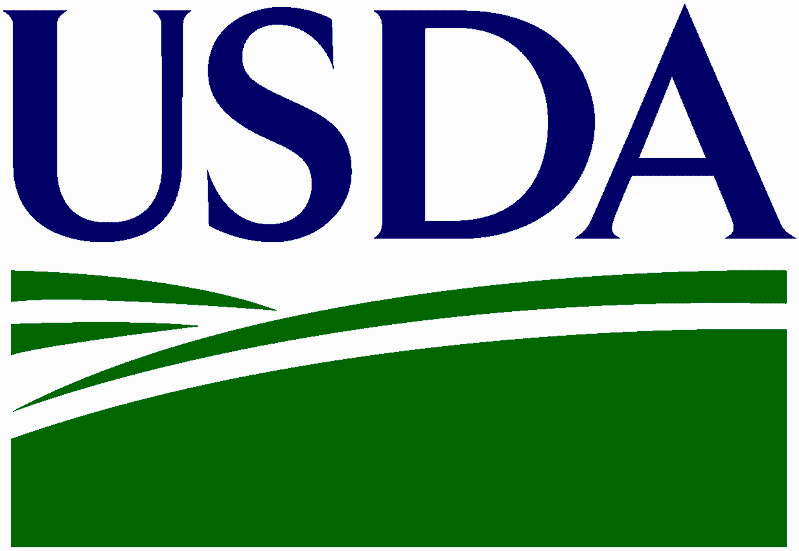 This workshop will focus on creative ways to procure the necessary quantities of locally grown products to meet the demand of university level dining. This ongoing SEMAP project is a partnership between UMD Dining Services /Chartwells, local farms, and a local food delivery/logistics service called FoodEx. Discussion will include project background, price negotiation, produce timing/availability, success/challenges, and specific variables when working with a seasonal campus. Seed Saving (Will Bonsall, Scatterseed Project) - Starts with the basics, but goes well beyond to cover some of the special problems such as purity (pollination control) and biennialism. If necessary, we’ll do a brief refresher on Mendelian genetics. ORGANIC TRACK - New organic track workshops developed in partnership with NOFA/Mass and made possible by a USDA Specialty Crop Block Grant and Mass Grown & Fresher. Interpreting Soil Tests and Developing Organic Fertility Recommendations (Derek Christianson, Brix Bounty Farm) - Addressing limiting factors in our soils is a key step to growing healthy, vibrant, delicious crops. Join us for an interactive workshop aimed at helping you better understand soil test results and developing organic fertility recommendations. Participants are welcome to bring soil test results to the workshop. Specialty Crop in Focus: Growing Organic Carrots & Organic Weed Control (Kofi Ingersoll, Bay End Farm) - An organic farmer for 13 years, Kofi will be offering his insights into the various methods of organic weed control. These will include a basic overview as to how weeds work and the multitude of strategies used to control them, including hand tools, mechanical cultivation, natural and artificial mulches, and flame weeding. The emphasis will be on controlling weeds before they become a problem. Actively Aerated Compost Tea Workshop (Carl Brodeur, Arborcare) - Participants will learn about brewing Actively Aerated Compost Tea (AACT), application methods, uses and benefits. Carl has been using AACT for 10+ years, and his approach is from an arborist/landscaper perspective when it comes to the use of AACT for trees and shrubs, but he and partner Dave use the tea in their own gardens as well. Cooking on a Wood Cookstove (Wilson "Skip" Mull) - Learn about the fascinating history of the cast iron stove and the tools of the trade. Demonstrating on an 1885 "Sunny" Glenwood Range outdoors, Skip will lead you through the art of starting a good fire, the ins and outs of draft and dampers, cooking on the stovetop, baking in the oven and everything in between. Participants will thoroughly enjoy this journey through days long forgotten. Backyard Poultry (Michael Darre, Ph.D., P.A.S., Poultry Specialist at UConn Storrs) - This session will cover several aspects of keeping backyard poultry including breeds, feeding, housing, health care and more. Don't be chicken, come learn more! Going Local Without Going Crazy (Julia Shanks, author of The Farmer’s Kitchen, The Ultimate Guide to Enjoying Your CSA and Farmers’ Market Foods) - Want to bring healthy, local foods into your kitchen, and stay on-budget, too? Julia has a passion for and expertise in locavorism, and is eager to share easy ways we can all make change that connect us to the food and farmers in our own communities. The world is changing as more people are supporting local, small businesses and returning to homemade food to avoid the unsavory health and social consequences associated with processed foods from big agribusinesses. Join Julia for a discussion and Q&A, complete with recipes, ideas and a healthy dose of delicious fun. Microscale CSAs - Community Supported Agriculture Programs (Andy Tomolonis, runs an eight-member CSA on a one-acre suburban plot, writes for Hobby Farms Home magazine) - Andy will talk about and share many photos of his transition from a mega-scale vegetable gardener to part-time CSA micro-farmer. Endangered Livestock Preservation - The Swiss Village Foundation (Sarah Bowley, Program and Livestock Manager, Swiss Village Foundation) - SVF is a private, non-profit farm in Newport, RI which for the past 10 years has collaborated with Tufts University to collect and cryogenically preserve genetic material from rare breeds of cattle, sheep, goats and pigs. This workshop will present an overview of the need for genetic diversity within agriculture, detail SVF’s scientific mission and describe some of the important characteristics that these endangered breeds provide. YOUTH TRACK - for ages 9-12; parents may attend with their children. Children younger than 9 may attend the conference, but must accompany parents to adult workshops. Stone Soup (Joanne B. Dahmer, Christine Costello and Stephen Zabala, all Johnson & Wales University students) - Hands-on exploration into what can be done with farm products grown and raised in the southeastern Massachusetts region. Together we will cook a few dishes, and of course, everybody gets to eat! Poultry Care (4-H Group) - 4-H club members will speak about their experience and knowledge of caring for a backyard egg laying flock. They'll bring along tame chickens that attendees can pet and hold, fresh eggs form various breeds and other fun and interesting visuals. Rabbit Care (4-H Group) - club members will share information on basic rabbit care, grooming, showing and breeds, and will show some examples of different breeds of rabbits.